Wow! 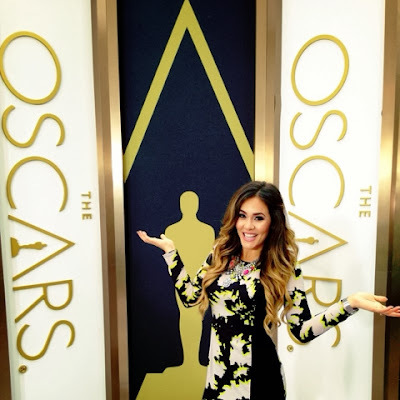 I've been so overwhelmed by all of your messages, comments, tweets, and posts! Thank you all so much for, not only supporting me but for celebrating this exciting move with me. I'm so happy to be a part of the EXTRA fam. 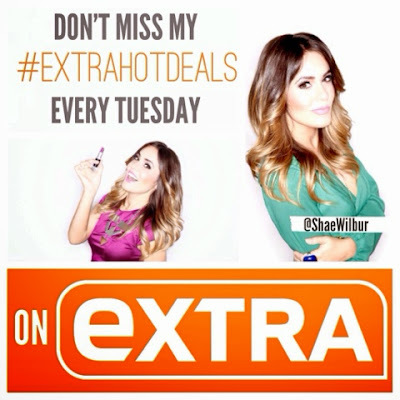 As I announced yesterday, I will be appearing once a week on EXTRA for a segment called Extra Hot Deals. I've teamed up with a company called @StyleMined to offer you all *INSANE* deals on some really incredible items each week. Let me tell you... I could not be more excited about this partnership. Each week I will feature some of my favorite trends, and the best part is - you will be able to take home all of 'em! Every item will be offered to EXTRA viewers at a discount! -And when I say "discount" I mean MAJORRRRR discount. Honestly, I'm already flipping out over what I've got for you this upcoming week... I can't wait for you guys to see! Again, I can't thank you all enough for the love you've shown me... I feel like we're in this journey together! It's fun to share life with all of you. I'm so excited to announce that I've just landed a weekly segment on EXTRA! Details to come... but lets just say that you will ALL be able to benefit from the goodies I'll be sharing! I can't wait for you to see what it's all about. Make sure to check your local listings to find out when Extra airs in your city - the fun begins NEXT WEEK! Love you all and thanks for your support and constant encouragement - I appreciate it so much! I have to say, I was pretty surprised to read Gwyneth's statement today, posted on her Goop website. 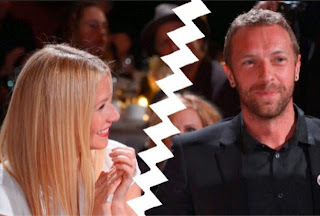 Conscious Uncoupling is what she and hubby Chris Martin are calling it. I'm calling it plain ol' sad. "It is with hearts full of sadness that we have decided to separate. We have been working hard for well over a year, some of it together, some of it separated, to see what might have been possible between us, and we have come to the conclusion that while we love each other very much we will remain separate. We are, however, and always will be a family, and in many ways we are closer than we have ever been. We are parents first and foremost, to two incredibly wonderful children and we ask for their and our space and privacy to be respected at this difficult time. We have always conducted our relationship privately, and we hope that as we consciously uncouple and coparent, we will be able to continue in the same manner. Well, we can expect to not see much of these two any time soon. Sources say they are "planning to remain out of sight for the next two weeks or so." 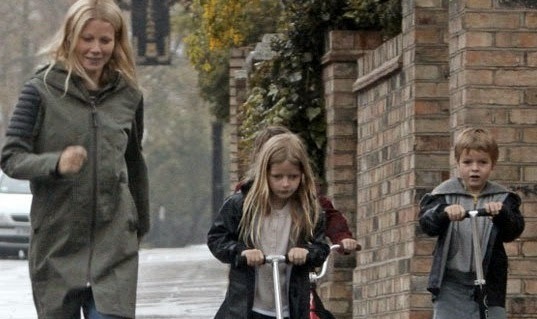 Their main focus now is protecting the privacy of their two children, Apple and Moses. I always feel some sense of sadness when I see couples like this dissolve, especially after a long marriage... but what frustrates me even more than the split - is the downplaying of it. "It's not a sad thing, they're two grown-ups. They're best friends. Most important are the kids and they will continue to co-parent. They're in a great place. They tried, but know this is a better way for them to be. They still love each other, but they realize it's best not to be a couple anymore." Sugar coating. That's what ^ that ^ is. This is NOT a great place to be in... I don't care how amicable the split was. This IS a sad thing, especially for the two children who find themselves in the middle of it all. I realize that in today's society divorce has unfortunately become the norm. I get it. But that doesn't make it any easier. I'm really not trying to be negative here - you guys know I always like to keep the tone a lil more upbeat on my blog - but I'm just being honest. Yes, Apple and Moses are blessed to have two parents that love them, however there's no doubt that their lives are forever changed from this point on. Emma Stone CRIES over The Spice Girls! She's already one of the most endearing celebs out there... and now Emma Stone has given us yet another reason to love her. In a recent interview promoting Spiderman 2, she legitimately broke down in tears over her love for the Spice Girls! So I want to know - who would inspire you FANGIRL like this? 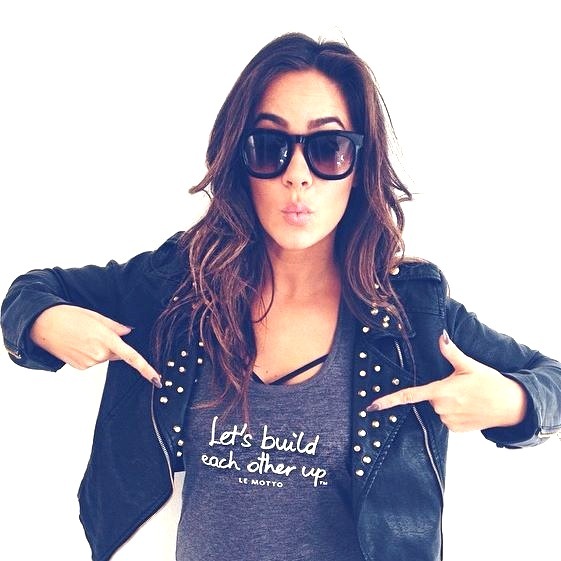 Tweet me @ShaeWilbur & let me know! 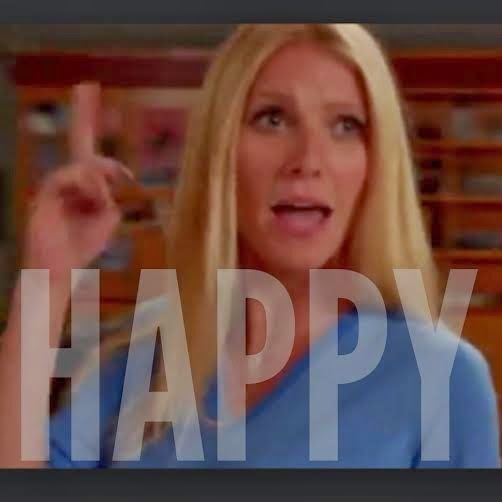 She's been one of my favorite Glee guest stars of all time, and last night Hollie Holiday A.K.A Gwyneth Paltrow returned to the set for their 100th episode! Well... in case you missed it - here's her super fun take on the infectious song that will now be stuck in your head all day: HAPPY! He's spent the past few months in Rehab, the weekend in jail, and today Chris Brown's lawyer is in court to see what's next. Yes, the drama is never ending for Mr. Brown... especially since getting kicked out of court ordered rehab on Friday. From the outside, things seemed to be going well for him... apparently that wasn't the case. 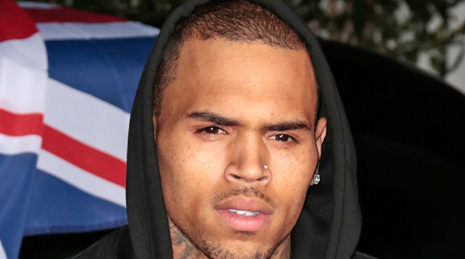 According to TMZ, Chris was thrown out of rehab on Friday for breaking a few internal rules. We'll get to those specifics in a second, but because this was COURT ORDERED rehab, being kicked to the curb meant that he'd land himself in violation of his probation which also meant that he'd quickly be scooped up by police and put in the slammer. Surprisingly enough he went without a fight. So what exactly did he do to get kicked out of rehab? Sources say he went on an "unauthorized outting" last week, refused a random drug test, mocked the rehab facility itself during a group session, AND he allegedly broke a rule which stated he had to stay at least 2 feet away from women at all times. Now, the question is, what will happen to Chris from here on out? He was supposed to stay in rehab until his court date in April, when he'd face assault charges related to a case in DC. 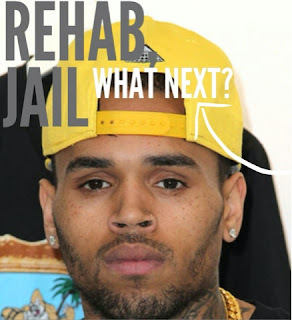 Will he be forced to enter another rehab facility? Will he be put under house arrest until his next court appearance? We should find out later today. Let's just say his lawyer must be workin overtime. 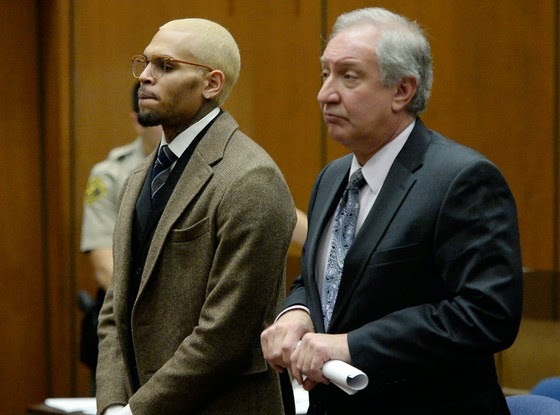 A judge has JUST ORDERED Chris Brown to stay in Jail until his April 23rd court date, citing his "inability to stay out of trouble" as part of the reason for the strong ruling. He just might be the most disliked person in America right about now... I'm talking about El Bachelor - Juan Pablo. If you were among the millions who tuned into the latest season of The Bachelor, then you know exactly what I mean. It was probably the most bizarre finale in the show's history. Not only did he not propose to his final pick, Nikki, but he came off a bit complacent about her. Now I don't have a problem with the fact that he didn't say "I Love You" - because if you're not ready... you're not ready. It was the fact that he didn't really verbalize any feelings at all. In fact he acted annoyed when Chris Harrison pressed him about it. YOU'RE THE BACHELOR!!!! You come on this show KNOWING that you'll be over verbalizing everyyyyything for America to see. You don't go on this show looking for a low key, private relationship. Sorry bud. That's not how it works. But apparently Juan Pablo is making his own rules since the finale aired. According to TMZ, he's told Warner Brothers that he's not going to be doing ANY post show publicity! He's even cancelled his appearance on Good Morning America. That's pretty major. The fact that Warner Brothers isn't pressing him to stay true to his contract says a LOT. 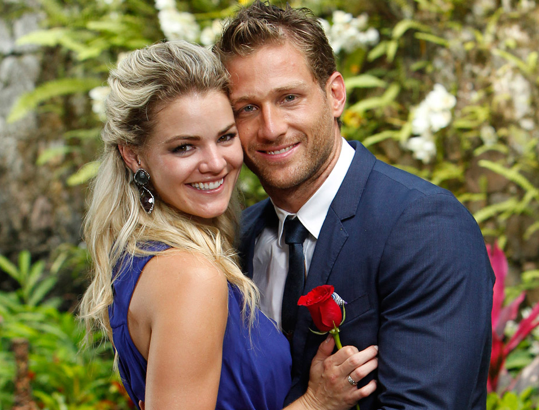 The craziest part about all this is that Juan Pablo started off the season strong! He charmed us... he took his shirt off... he charmed us some more... he took his shirt off ... but little by little he started to grate on our nerves. There was something that seemed insincere after a while. What bothers me MOST about him is not the incredibly offensive statement he made to Clare, or the constant "ISSS OK," or even the incessant face touching... it's the fact that he used "honesty" as an excuse to be mean. It's VERY possible to be an honest person and upfront about how you feel, without being cruel. It's called kindness... and it wouldn't hurt Juan Pablo to consider some. 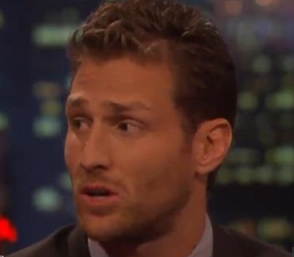 SO, what are your thoughts on Juan Pablo? Do you sympathize with him? Do you think he and Nikki will last? Tweet me @ShaeWilbur and let me know! So Justin Bieber appeared in court last week for a deposition related to one of his latest lawsuits. The lawsuit is alleging that he had his bodyguard beat up a paparazzo. Naturally, Biebs was called to the stand, and what ensued must have made his mother cringe! The arrogance is seriously off the charts. I'm sorry... I just can't get over how incredibly DISRESPECTFUL Justin Bieber is. I guess given his antics lately I shouldn't be all that surprised, but you'd think he'd have enough brains to realize that acting out like this in court only makes him look WORSE! And now that adorable, sweet lil face has landed in the middle of numerous lawsuits, alleged drug raids, scandalous photo controversies... the list goes on. I sincerely hope Bieber can clean stuff up. SOON. How in the world was this kept secret for so long?!? 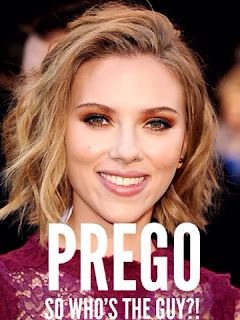 According to new reports Scarlett Johansson is not just pregnant - but 5 MONTHS PREGNANT! 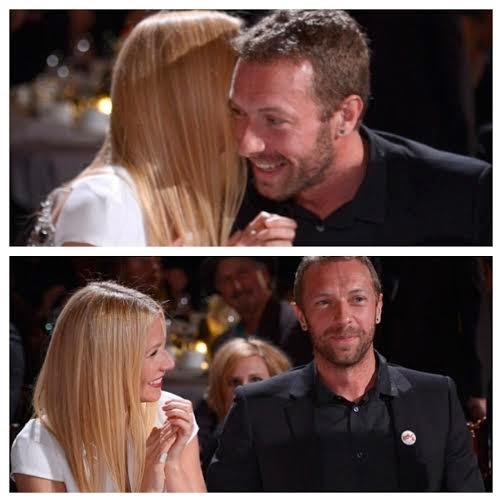 Sources say she and her fiance Romain Dauriac are expecting their first child together. So who in the heck is this guy? Well first of all, he's a far cry from her movie star ex-husband Ryan Reynolds. Their relationship has been going strong for about 9 months, and just as with the pregnancy, they've been able to keep much of it pretty private. No word yet on wedding plans, or anything like that... and judging by her ability to keep the pregnancy so hush hush, I have a feeling we won't know much - wedding wise - until it actually happens. Regardless - I wish these two the best! ...Although I will say she and Ryan Reynolds made one of the most beautiful couples ever. Just sayin'! With the Oscars just a 1 DAY AWAY, the preparation for the big show is in FULL SWING!